EnviroOne maintains a comprehensive environmental and agricultural search engine. Our first initiative abroad is EnviroOne Africa; a combination of projects and activities in specific countries in Africa that are making a difference to the lives of people in these African counties. Sierra Leone is our first African country that is benefiting from EnviroOne’s Africa initiative. EnviroOne’s work in Africa is changing lives and giving hope to hundreds of thousands of people. Below are sample testimonials from some of our partners. EnviroOne also received attestations about its work in Sierra Leone from various government ministries and local authorities. 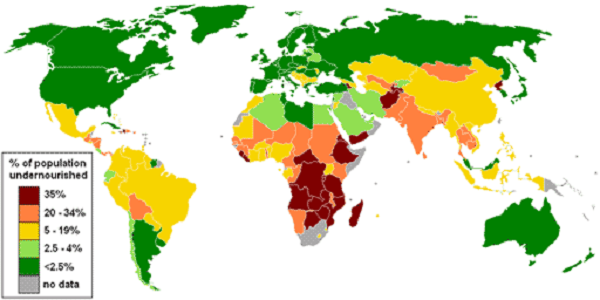 According to a 2011 report in the Business Insider1, the percentage of people undernourished per capita is highest in Africa. Further, in a 2009 World Bank report2 it is noted that the percentage of population living on less than $2 per day is highest in Africa. Access to clean water is the most fundamental component in the development of any community. Yet, a report by WikiProgress on fresh water statistics3 noted that Africa has the lowest water poverty index. The lower the index, the bigger the water problem. Hence in a 2015 report in the Inter Press Service4, the author noted that Africa must prioritize water in its development agenda. For all these reasons, EnviroOne believes that its poverty reduction programs and human development activities will have the most impact in Africa. Since 2011, we have been implementing programs that have impacted the lives of many our two project areas in Sierra Leone; lower Yoni and Kaffu Bullom Chiefdoms. We measure success over periods of time using several variables in our control communities versus communities with implemented programs. For example, we compare the decrease in the number of visits to the health clinic, the increase in the number of children that are taken out of the family farm to the classroom, and the increase in new businesses due to available micro loans to farmers, teachers, and petty traders.